For as long as I've been alive my Dad has been growing tomatoes in his garden. Not 1 or 2 tomato plants, but yards and yards of tomatoes, several varieties. Heirlooms, beefsteak, plum, but the prize of his garden was always the San Marzano tomato. When these tomatoes are cultivated in the Valle Del Sarno, they are labeled Pomodoro S. Marzano dell'Agro Sarnese-Nocerino and are awarded the EU DOP brand. They are prized for their flavor and canned San Marzanos are exported all over the world for premium prices. My vegetable stand is overflowing with San Marzanos shipped directly from Italy, as well as some that are grown locally in England. I can't get enough of them, to me they are THE flavor of Summer. Remembering hot afternoons helping my Dad pick and chop the bushels of these red rubies. We would make enough jars of sauce from fresh tomatoes to fill our basement. I don't have that kind of storage space, but I can make a few tubs to store for the deepest, darkest days of Winter. Making a marinara sauce from scratch? That's silly, you say. Yes, it is silly, especially when excellent canned San Marzano tomatoes are very easy to get. It adds around three steps, that aren't difficult, but if you'd rather skip using the fresh tomatoes, I won't be angry with you. I personally couldn't resist the fresh version because they look too pretty in the vegetable stand, and hey, I like to cook. I don't have a lot of fancy equipment for making tomato puree from scratch. I just cut an X in the tomato skins, dunk them in boiling water and then an ice-bath. The skins peel right off, and I like to clean out the seeds. Finally give them a rough chop in the food processor. Eh Voila! Fresh made puree. You can see this process in the picture in the slideshow below. From there this sauce is simplicity itself. Slow cooked onions and garlic and then tomato paste cooked into a dark red base. Then just red wine, stock and these tomatoes. Then a long simmer for a few hours. I couldn't handle how good this sauce was. Deep, rich tomato flavor, simple and vibrant. I might have to store a dozen jars of this under my bed to get me through English winter. Bring a big pot of salty water to boil. Cut a large X in the skin of each tomato. When the water has come to a strong boil, drop the tomatoes in the water for 30 seconds. 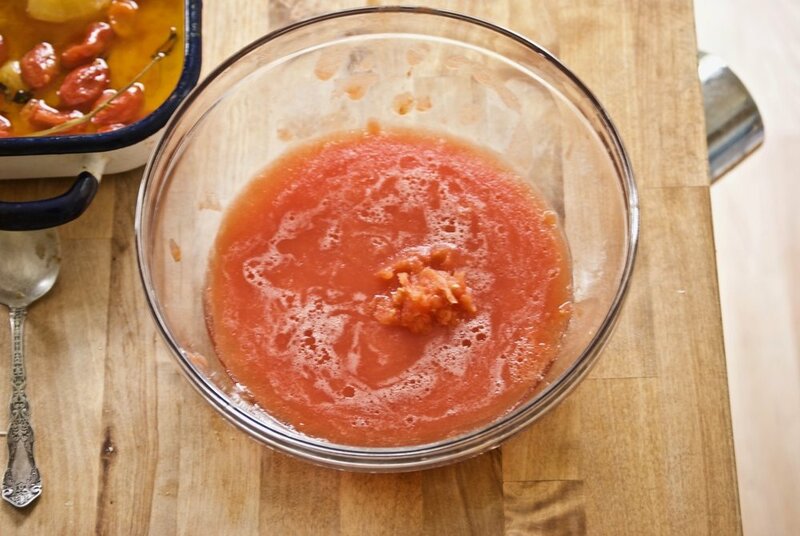 Transfer the tomatoes to a bowl of ice-water. When tomatoes are cool enough to touch, peel off the skins and slice in half. Scoop out the seeds and discard. 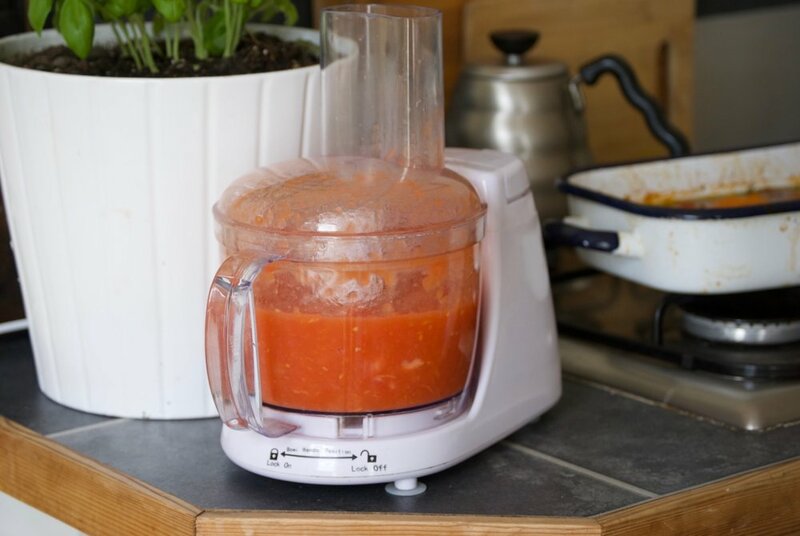 Place tomatoes in a food processor and blitz. 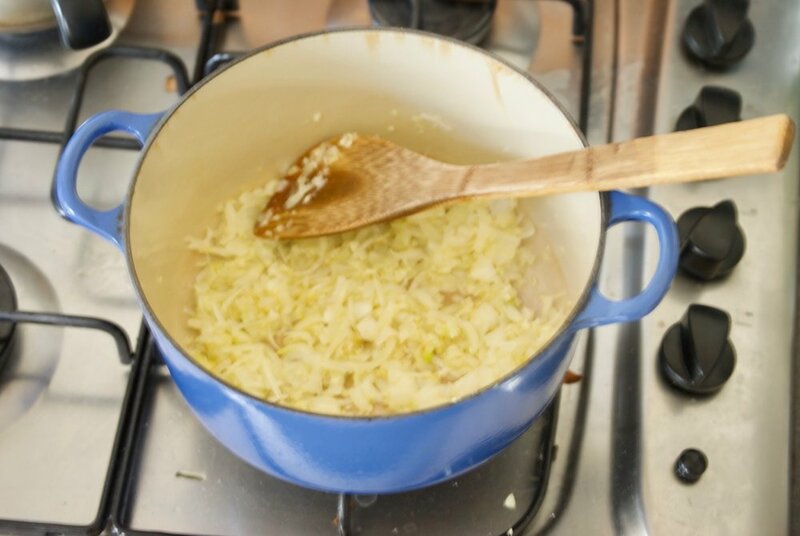 Add chopped onion and garlic to a heavy bottom pan with a generous spoon of salt and sautee on low heat until translucent, Add the tomato paste and stir until color has darkened to a deep red. Add the diced tomatoes, the bay leaves, oregano, and the red wine. 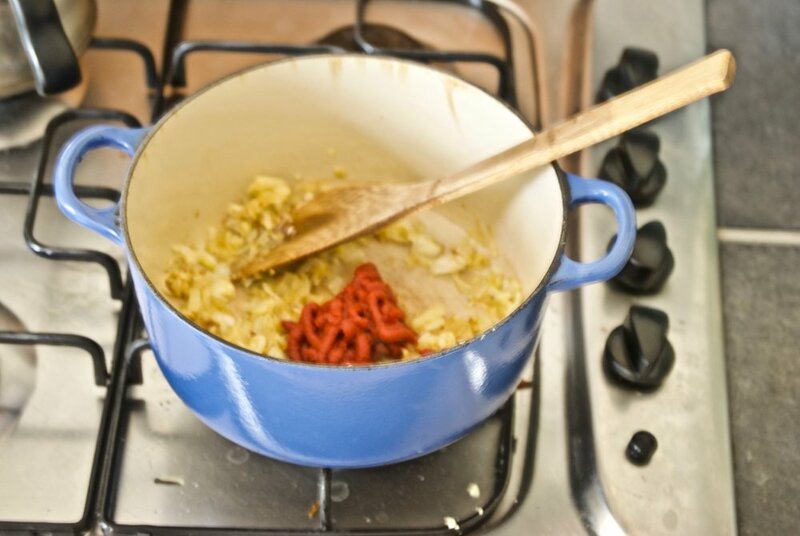 Bring to a boil, and then reduce the heat to low and cover with a heavy lid. Simmer on low for 45mins to 2 hours, depending on how thick you want your sauce. 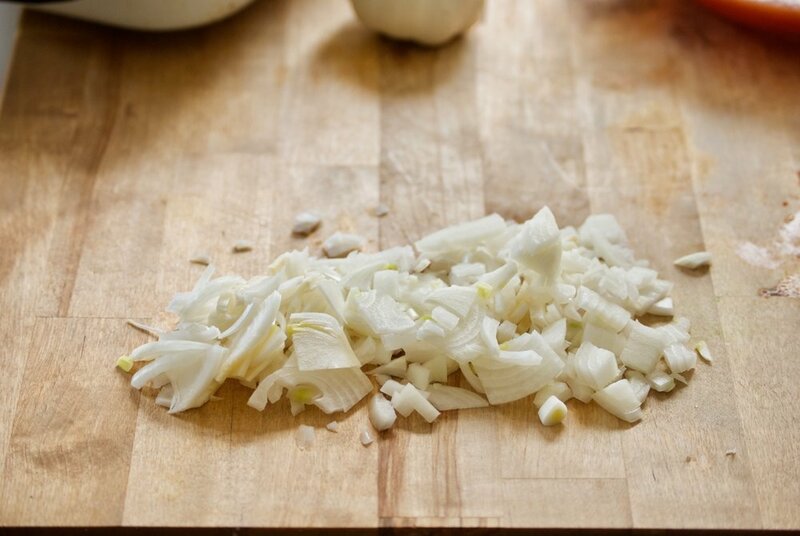 Serve with pasta, or add to a bolognase or ragu sauce. 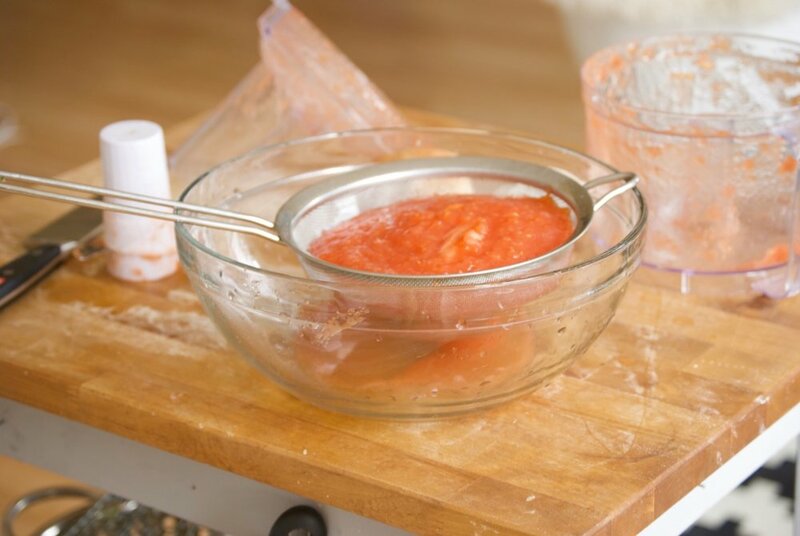 Makes an amazing tomato base for any dish that needs it.